During WWII German soldiers stationed in Paris complained that it did not live up to their expectations. Parisians made a simple reply: ‘you should have come here when you were not here’. You Should Have Come Here When You Were Not Here is furnished with rich historical anecdotes and offers a fresh take on Paris through the subtlety of Gnanalingam’s compelling second-person narrative. The book is centred on Veronica, a New Zealander in her mid-30s and a journalist going nowhere. She decides to move to Paris, believing the city will change her life. She is surprised, but not in the way she expected: Paris is indifferent to her. Gnanalingam’s first book Getting Under Sail was released by Lawrence & Gibson in 2011. 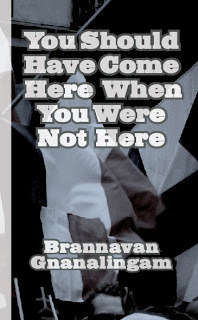 Lawrence and Gibson released Brannavan Gnanalingam’s You Should Have Come Here When You Were Not Here on Friday October 4 at the 19 Tory St Community Gallery in Wellington.